Caroni Monti Espresso Coffee Maker 3 cups. This is a classic Espresso Coffee Maker made in aluminum. 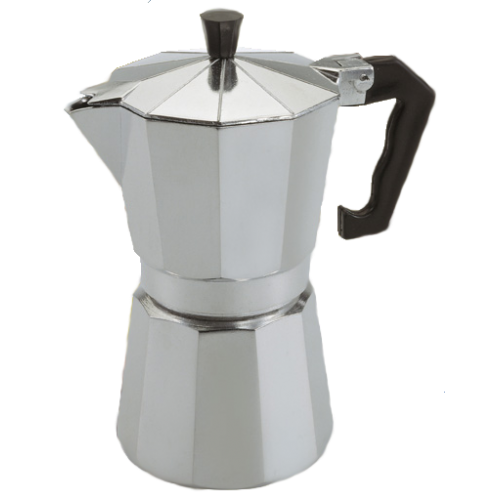 In Italian homes it is this type of coffee maker that is normally used to make the day to day espresso. Caroni Monti Espresso Coffee Maker makes a perfect espresso that only gets better the more you use the coffee maker.